We can never get enough of Anthropologie because the retailer is known for hosting a beautiful mix of staple and statement pieces. We also love that there are so many indie brands available at Anthropologie, including Akemi + Kin, Sanctuary and Faithfull. One label that we currently have our eyes on is Sunday in Brooklyn. The brand has a nice collection of cozy picks ranging from sweaters to dresses and dressy tops. Check out our favorites down below. We’re updating our fall dress collection with this long-sleeve turtleneck frock. The dress boasts an asymmetrical hemline and an adjustable drawstring at the waist. It’s available in three shades, including grey, yellow and wine. Sizes range from extra small to extra large. 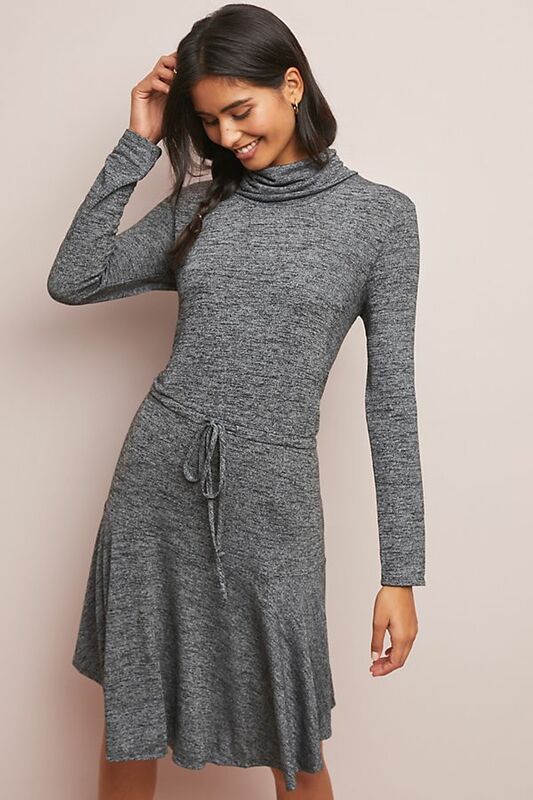 See it: Get the Sunday in Brooklyn Turtleneck Dress for $88 while all sizes are in stock. Long-sleeve T-shirts aren’t the only way to layer this season. Ruffles give this Krasner top a dressy vibe, while it remains casual enough to be dressed up or down. It’s available in two colors: black and yellow. Sizes range from XXS to XL. See it: Get the Sunday in Brooklyn Krasner Ruffled Top for $78 while all sizes and both colors are available. For an easy, warm sweater to quickly slip into, we’ll be putting on this pullover that features an asymmetrical hemline, tie-front design and cowl neck. We especially love that this top is thick enough to keep Us warm, yet thin enough to be worn underneath cardigans or coats! Sizes range from extra small to extra large. See it: Get the Sunday in Brooklyn Kitchener Tie-Front Pullover for $78 while all sizes are available. 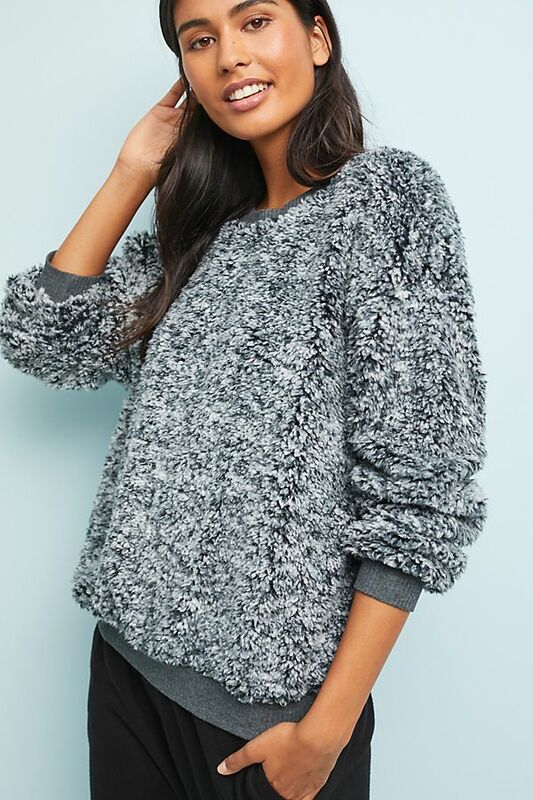 We are big fans of a cozy, fuzzy top and this Sherpa pullover is one lovely option! It can be easily styled with jeans, skirts, slacks or leggings depending on our mood for the day. See it: Get the Sunday in Brooklyn Sherpa Pullover for $88 while most sizes are available. Dresses with pockets are always a winning pick and this particular frock that has them has captured our hearts with its color block design. Sizes range from extra small to extra large. See it: Get the Sunday in Brooklyn Color Blocked Casual Dress for $88 while all sizes are in stock.